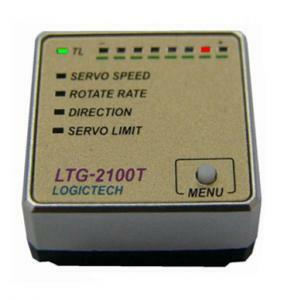 The Logictech 2001T Gyro – Better Than The Futaba GY401? It is certainly worth looking into and deserves a spot on my gyro page as a definite recommendation, especially for the all popular 400 size electric helis out there. Logictech (not to be confused with computer parts giant logitech) is a Korean company and is fairly new to the RC gyro world. Their 2001T gyro has somewhat of a cult following already, especially in the T-Rex 450 crowd as their 2001T gyro seems to be perfectly suited for that size of heli. 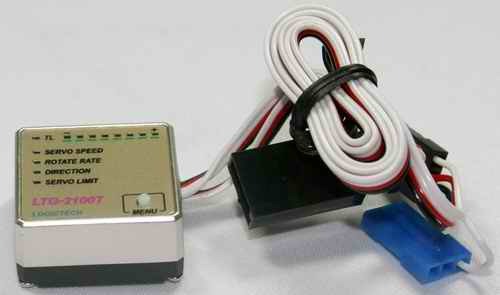 Logictech also makes a 6001T gyro well suited to larger 600 electrics and 30 and larger size nitro helicopters. The Logictech 2001T gyro is said to be a direct competitor with the Futaba GY401 and is priced right between the GY401 and E-flite’s G90 gyros. I would not say it is in direct competition since the GY401 does work better in larger size helicopters, but in a 400 – the Logictech 2001T is just as good if not better than the 401 and has some nice added features. That said, the 2001T will still function well in a larger heli, but most will agree the Futaba GY401 performs better in larger RC helicopters. One of the nicest features the Logictech 2001T has over the Futaba GY401 is the ability to adjust both left and right tail rotor servo travel limits over the single travel adjustment on the 401. Programming of all gyro functions is done right on the gyro using the programming button in conjunction with the LED indicators, offering easy to understand setup selections. The LED’s also indicate what gain rate has been remotely selected from your transmitter and clearly indicates when in Heading Hold/Lock mode when the green “TL” LED is lit. No more little dip switches and pots to fiddle with or get gummed up with dirt, not a huge issue for most, but something to consider. Package all these high end features in a gyro that weighs almost 1/3 (10g) of a Futaba GY401 and is less than half the size - it is no wonder the 2001T is so well suited to smaller 400 size machines. The Futaba GY401 is still the better choice if you want one gyro that can be used in anything from 400 electrics up to 90 size nitros and even larger gas and turbine powered RC helis; but if you are looking for a high performance gyro with state of the art setup versatility for your 400-500 sized heli (or even a bit larger) – do yourself a favor and check out the Logictech 2001T. Limit Trimmer: Yes – Programmable on gryo – both left and right.